6 Simple Ways to Lose Weight Quick. It's time to outsmart your cravings and experiment with these 6 simple ways to lose weight quick. You'll be surprised how easy it is to embrace a healthy eating plan. Analyze your overall food intake and see how many vitamin-rich ingredients you have in your meals. If the amount of healthy veggies and fruits in your nutritional plan is extremely low, you may struggle with gradual or dramatic weight gain. In order to get slimmer and feel confident in your body try your hand at the 6 simple ways to lose weight fast. Kill two birds with one stone, shed a few extra pounds and get used to the regular consumption of nutrient-rich meals. 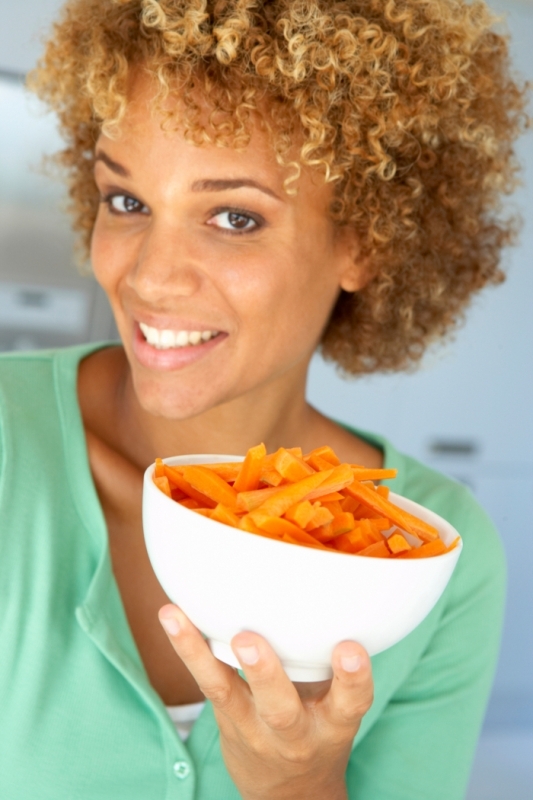 Enjoy the soft texture and high vitamin-content of veggies like baby carrots, turnips, artichokes and squashes. These tend to have a stronger aroma and don't require any dressing or sauce. Prepare filling and delicious meals using these extremely low-calorie foods as snacks or side dishes. Cheat your way to success and pack your pancakes with delicious fruits to balance out the calorie intake. Blueberries and in fact the whole berry family proves to be the best option to load your body with antioxidants and vitamins. 2-3 servings of these healthy ingredients will do magic to your metabolism. Achieve your slimming goals with this simple weight loss trick. Numerous diet experts advise you to chew flavored gum to control your sugar cravings. Peppermint has the power to suppress your appetite and help you tame your hunger. If you opt for fruity gum, you should make sure that these are sugar-free treats. Use this slimming strategy when you have difficulties resisting the temptation of delicious high-calorie desserts. This may seem pretty difficult, however, diet gurus guarantee you that you'll be able to save 700 calories with this simple nutritional maneuver. Get used to the regular consumption of low-calorie fruits and seeds if you want to shed a few stubborn pounds in a healthy way. Chocolate will only intensify your sugar cravings. Are you ready to get familiarized with the diet-friendly branch of fast foods? Salmon and tofu burgers should be your best pals during your weight loss project. Swap fatty beef burgers for these healthy food options and save hundreds of calories per serving. Team up these burgers with raw or steamed veggies. Pay special attention to high-calorie dips. The secret to lose weight fast is to choose the best diet food options. Bean dips are perfect to team up with cooked or raw veggies. One cup of bean dip contains no more than 80 calories and allows you to trim calories in your nutritional plan. Beans are rich in protein, fiber and folate which give you a sense of fullness to save yourself from cravings.